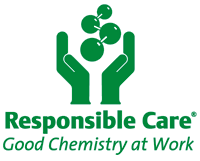 RESPONSIBLE CARE is the voice of the chemical industry around the world. This is an initiative and voluntary committment to continuous improvement of the safety, health and environment during the production processes and through the manufactured products for the benefit of the entire society. RESPONSIBLE CARE represents considerable contribution of the chemical industry to sustainable development, which is part of the United Nations Global Compact. After RESPONSIBLE CARE was launched in Canada in 1984 (it started as a commitment to protect the environment from large-scale processing of timber into cellulose), in the USA in 1988, in Great Britain in 1989, and on a large scale in Europe since 1990, nowadays it is an initiative developed by chemical associations in 53 countries around the world. The policy of Agria S.A. under the Responsible Care initiative is a commitment to continuously improve staff health and safety as well as of the environmental protection. RESPONSIBLE CARE is both an ethic and a commitment that seeks to build trust in an industry that works to improve living standards and quality of life with its production.